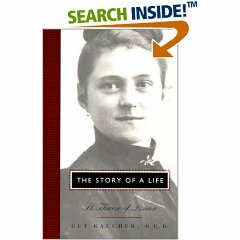 The Story of a Life, Guy Gaucher's outstanding biography of Therese, is an indispensable setting for Therese's own Story of a Soul. At the beginning of her memoir Therese wrote "It is not, then, my life properly so-called that I am going to write; it is my thoughts on the graces God has granted to me." Bishop Gaucher, a Carmelite friar and foremost authority on Therese, has written the life Therese did not write. Reading it deepened immeasurably my understanding of Therese's own story of her soul and of the human and spiritual context in which God showed her such graces. For more information, click on the image. 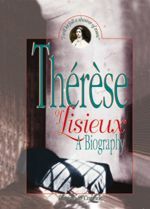 Therese of Lisieux: A Biographyby Patricia O'Connor is a brief, carefully researched, and powerful introduction to St. Therese, one of the few books about Therese of genuine interest to teenagers and adults. O'Connor writes of the "rough, unpolished details" of Therese's life and milieu in a way that brings her to life as a real girl who faced the same choices young adults face today. For more information, click on the image. Saint Therese of Lisieux: Her Family, Her God, Her Message, by Bernard Bro, O.P. In 1914 Pope Pius X called St. Therese of Lisieux "the greatest saint of modern times," and in 1997, Pope John Paul II declared Thorase a Doctor of the Church, citing the timeliness of her doctrine and the wisdom and practicality with which she grasped the Gospel message. 'Why all this acclaim for Therese, who was a little middle-class girl from France at the end of the 19th century? The Centenary of her death, 1897-1997, was celebrated all over the globe. Why is Therese so universally loved, invoked and imitated by people from all walks of life in every country in the world? Fr. Bernard Bro, director of the French publishing house, Editions du Cerf, and a key figure in publishing the definitive editions of Therese's writings, decided to set forth those aspects of her life, personality, and writing that do indeed mark her as one of the truly great exponents of Catholic doctrine. In her life and in her writing, he believes, Therese offers "one of the most certain and simplest evangelical shortcuts ever proposed." Her words reflect a "struggle between darkness and faith, humor and sadness, realism and pretense, maturity and childhood. The life, words, and texts of Therese are of an astonishing freshness, accuracy, immediacy, strength, and genius." According to Bro, Therese does not flinch before the important questions everyone must face: Why death? How can we continue in hope when suffering and pain threaten to overwhelm us? How can we remain faithful--and joyful--when we are shaken by the circumstances of our life? And first of all, how are we to love? Therese answered these questions both by her life and through her writing. Illustrated with many photos . Fr. Bernard Bro, Dominican and doctor of philosophy, has been a professor at the Pontifical Faculties of Saulchoir, preacher at Notre-Dame in Paris, and recognized by the Academie Francaise for the whole of his work. He is considered one of the world's foremost authorities on the life and writings of St. Therese. 253 pages, paperback, $16.95. Click on the image to order. Therese of Lisieux: God's Gentle Warrior,by Thomas R. Nevin, a professor at John Carroll University, is a recent, exhaustively researched, and sensitively written life of Therese, making use of much newly discovered material. Oxford University Press, 2006. For more information, or to order, please click on the image. Hardback. Read an interview with Dr. Thomas Nevin about Therese of Lisieux: God's Gentle Warrior. 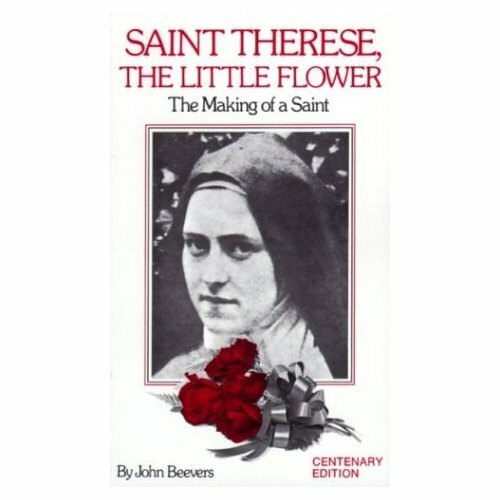 Saint Therese, the Little Flower: The Making of a Saint by John Beevers introduces the reader to Therese's life and to the process by which she became a canonized saint. Beevers, a British layman, translated Therese's writings and wrote other books about her. For more information or to order, click on the image.